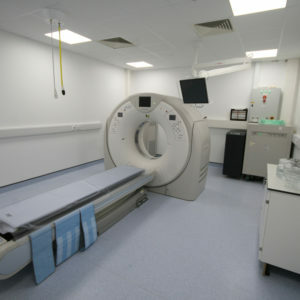 At ACD we have the specialist knowledge to install everything from specialist imaging equipment, such as CT and MRI scanners, to state-of-the-art hydrotherapy pools and water treadmills, into your build. 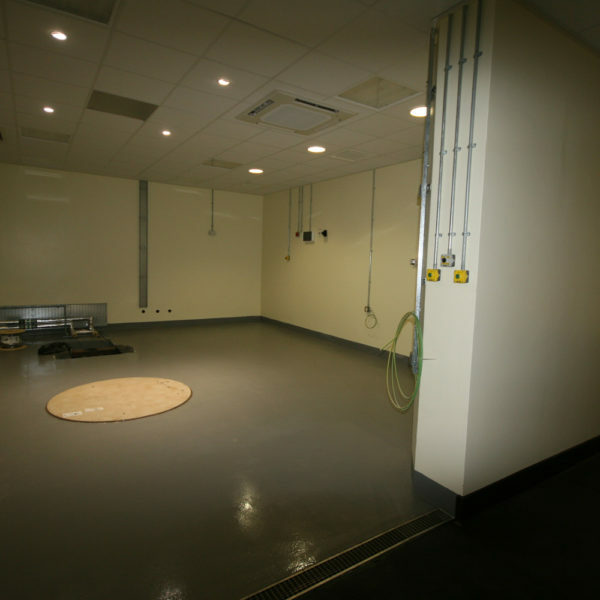 We have built many fully lead-lined rooms, including linear accelerator bunkers and facilities for nuclear scintigraphy and are familiar with what needs to be done to meet RPA (Radiation Protection Authority) standards. 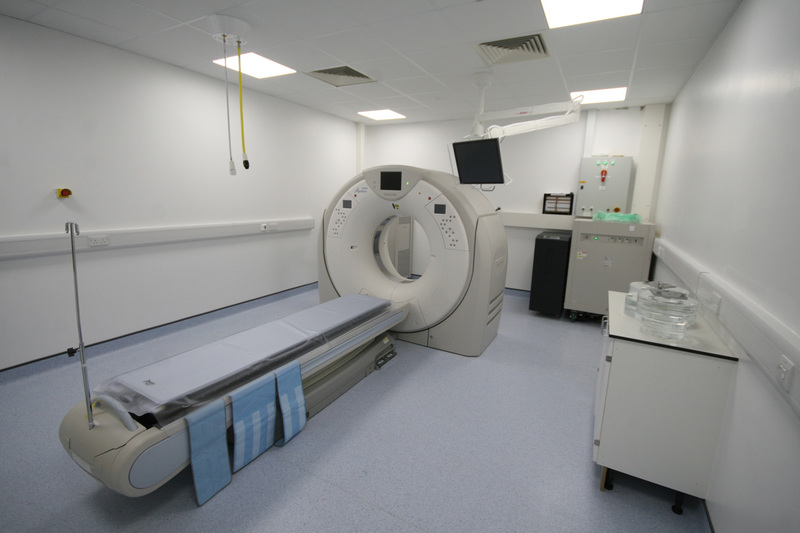 Whilst most of our veterinary centres require X-ray rooms, due to the increasing affordability and availability of leasing schemes, we’re seeing a growing number of our clients looking to include CT and MRI scanners in their practices. In addition to these, we have experience in developing rooms and buildings for nuclear scintigraphy, fluoroscopy and linear accelerators (LINAC). We can design these into the build or design a building specifically for these machines, accounting for associated risks and issues early. For example, we’re aware of the size of these machines, how much space you’ll need around them and the associated control rooms. We’re conscious of access and egress of the machine, including turning circles and weight, should you need to get the machine out of the building further down the line. 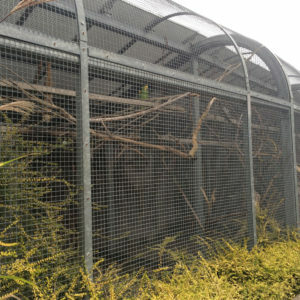 We’re also well aware of the need for shielding, not only for radiation protection but also screening, and can advise on walls thicknesses and linings depending on machine, to meet RPA standards. 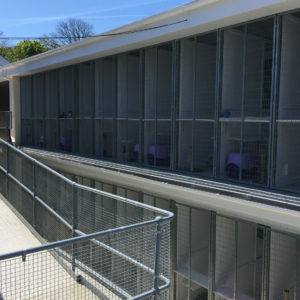 We will advise you on the acoustic property requirements of these installations and in the avoidance of interference with other areas of a veterinary practice. Furthermore, we can guide you on the need for cooling and chilled water as required by some of the larger machines. We have sufficient knowledge within these areas to be able to provide our clients with some sound advice with regards to the costs involved in these areas, including the expense this brings to any project, if unforeseen. 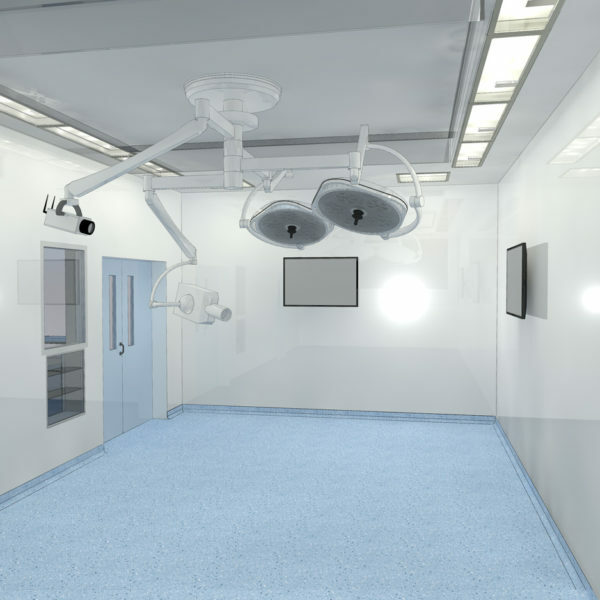 Your clinical rooms, particularly the theatre, require multiple air changes per minute to prevent potential spread of disease. We understand air flow and can advise you on the most efficient methods of circulating air to remove this risk, while avoiding dumping the air which you have likely just paid to heat. 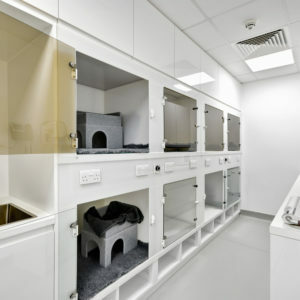 We have also recently designed the first veterinary practice in the UK to use laminar flow technology, a method that has previously just been used in human hospitals. This technology creates a sterile air zone around the patient during surgery. HEPA filters then remove any bacteria and viruses from the air, creating a clean air environment in the theatre. 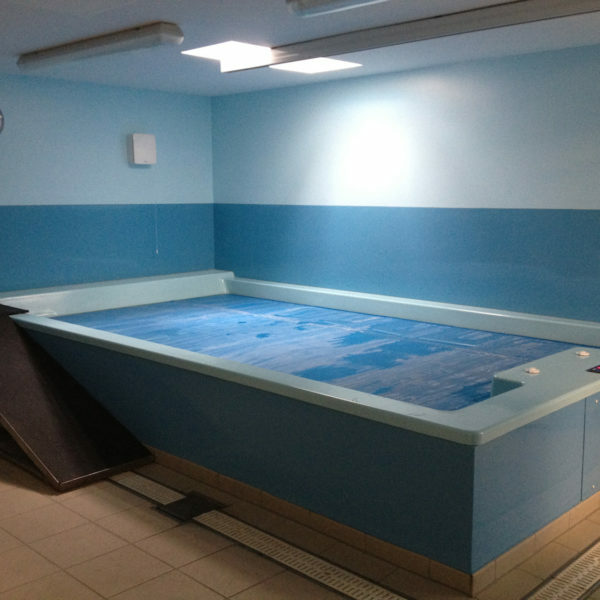 We have experience in incorporating hydrotherapy pools and water treadmill equipment into our designs. This involves making decisions about weights (and load bearing), heating and ventilation. 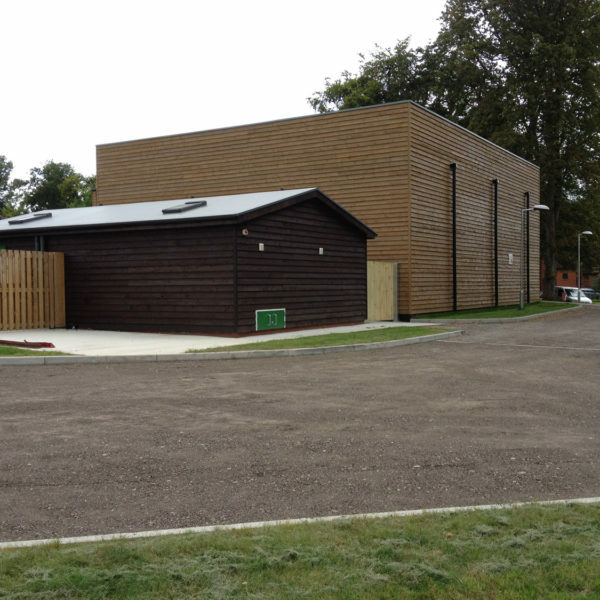 Fundamental points within hydrotherapy include rationalising the use of water, providing good cleaning systems, drainage and ensuring surfaces are not affected by chlorine and hard water deposits. We’d be delighted to talk to you about any of these areas so please feel free to contact us using the form below.